He’s definitely the boss, even though he shares the farm with 120 dogs and plenty of horses. 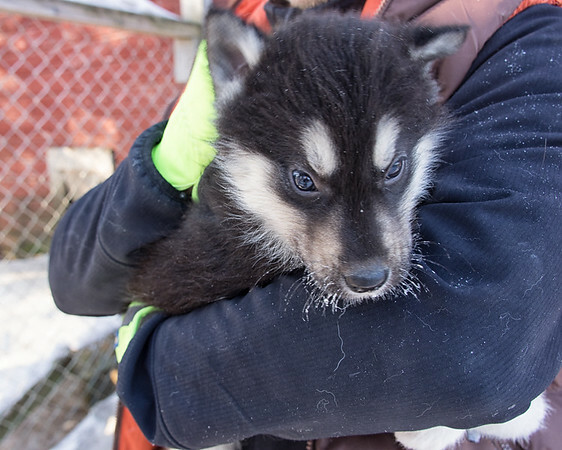 And of course, two-month-old puppies are adorable. Anyway, the lack of winter trips isn’t because the horses aren’t suited to the weather — I think there would be none better than the thick-coated, Clydesdale-height horses that we rode — but more because of a perceived lack of interest. I love that Sanna & Mika from Kamisak have bucked this trend. While husky trips — especially overnight trips into the fells — are their main business, they own two stables of Finnhorses that do trips year-round. The one that usually runs winter trips is part of Santa’s Resort at Kakslauttanen, which makes the trip even more convenient to people that are staying in the nearby glass igloos. All saddled up and ready to go! Even though our trip was limited by the terrain — even the tall Finnhorses couldn’t easily make it through the meter of snow built up next to the cleared paths — it was an interesting way to explore the landscape. Leaving the stables in a line behind Sanna, we slowly bobbed our way down the path towards Santa’s Resort. Soon we were passing the glass igloos, four rows of little glass domes just waiting for darkness to fall and the northern lights to come out. 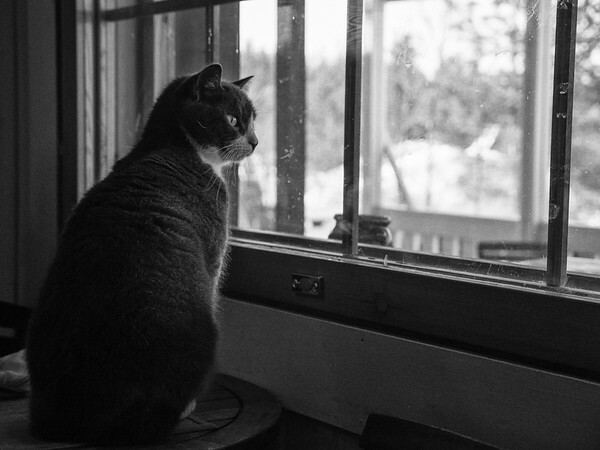 I found the most difficult thing to do was to hold on to the reins with my thick mitts on. After nearly freezing my hands off on a RIB boat in Lofoten, I was loath to ever leave thick gloves behind, but the fact that they were mitts meant I felt like the reins were always about to fall out of my hands. The forest opening up into fields covered in sparkling snow. I don’t know that it would have mattered if I had dropped them. My horse was very well-behaved; aside from the occasional backwards glance that I got when I held the reins too tightly, she was happy to do whatever I asked her to do. She was much better than the horse behind me, who constantly stopped and stubbornly refused to move, possibly because he didn’t like being behind my horse. Our pace became very stop-start as his rider did everything she could to coax him into moving again, often to no avail. Eventually, Sanna had to switch her horse for the grumpy one and we got moving again. We never got faster than a slow walk, but that was okay with me. I’m not a particularly experienced horseback rider, and while I have been on much faster horses in Colorado and New Zealand, neither of those places featured slick paths covered in hard-packed snow. It was a much more pleasant experience being able to admire the landscape instead of worrying about falling off. A pretty bouncy video taken while on horseback. The landscape was a picturesque mix of rolling fields and woodlands. The fells of northern Finland are not as spectacular as the fjords of Norway, but I thought they were just as beautiful. They were peaceful and seemingly always lit with golden light even in the middle of the day. The fields of snow literally sparkled in the sunlight; it would have been blinding had I not had sunglasses. So was horseback riding in winter an exhilarating adventure where we galloped across the open plains? No. My horse was just as calm and steady as her breed is supposed to be. So while I wouldn’t recommend this trip to experienced horseback riders looking for a challenge, it was a great introduction for beginners (or re-introduction for somewhat-beginners like me) and it was a unique way to see the gorgeous winter scenery of the Saariselkä area. Would you try horseback riding in the winter? I visited Kamisak Farm as a guest of Northern Lapland Tourism and Visit Finland, but all opinions stated here are my own. Kamisak Farm runs husky trips (from a few hours to 5 days) from November to April and runs horseback riding tours (from 2 hours, which was the tour I did, to 2 days) year round. Their main farm is located south of Ivalo on the road to Rovaniemi; the other is in Santa’s Resort at Kakslauttanen. Hi Vilvi! 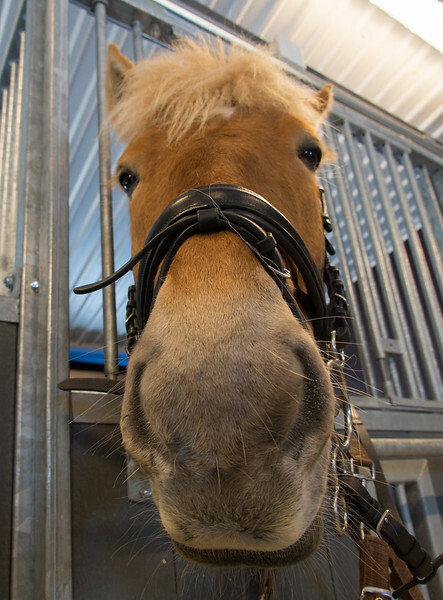 I really did enjoy my visit to Finland, and being able to ride a Finnhorse was a nice surprise! They were such beautiful horses — I’d love to be able to come back in the summer and see what it’s like to ride them when you’re not restricted to a single track! 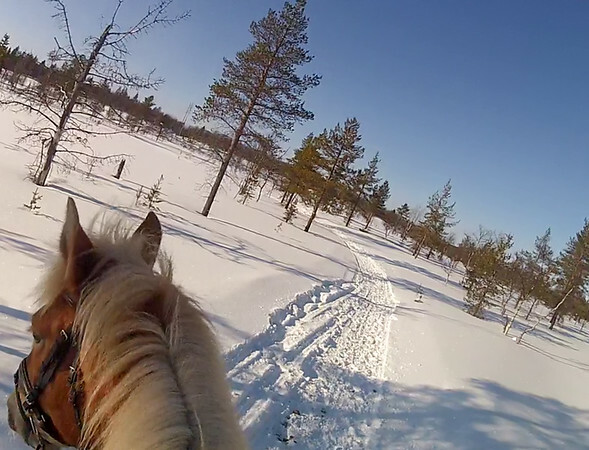 Glad you enjoyed my video too — I thought it really showed what it was like to ride on a Finnhorse. I don’t mind at all if you link here from your blog — I appreciate it! 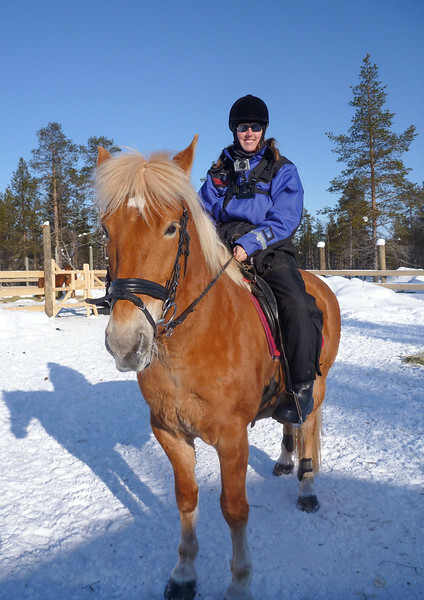 Hi, we are visit Finland – Saariselka in two weeks time and are very keen to have a trek out on horse back, how far are you from Saariselka? Hi Jane, unfortunately I am just someone that visited Kamisak Farm rather than one of the owners. When I was there, their horseback excursions ran near Hotel Kakslauttanen, which is about 15 mins to the south of Saariselkä on the E75. I suggest heading to their website at http://www.kamisak.com/eng/hevosvaellukset.html to get their contact details. I hope you have a great trip!